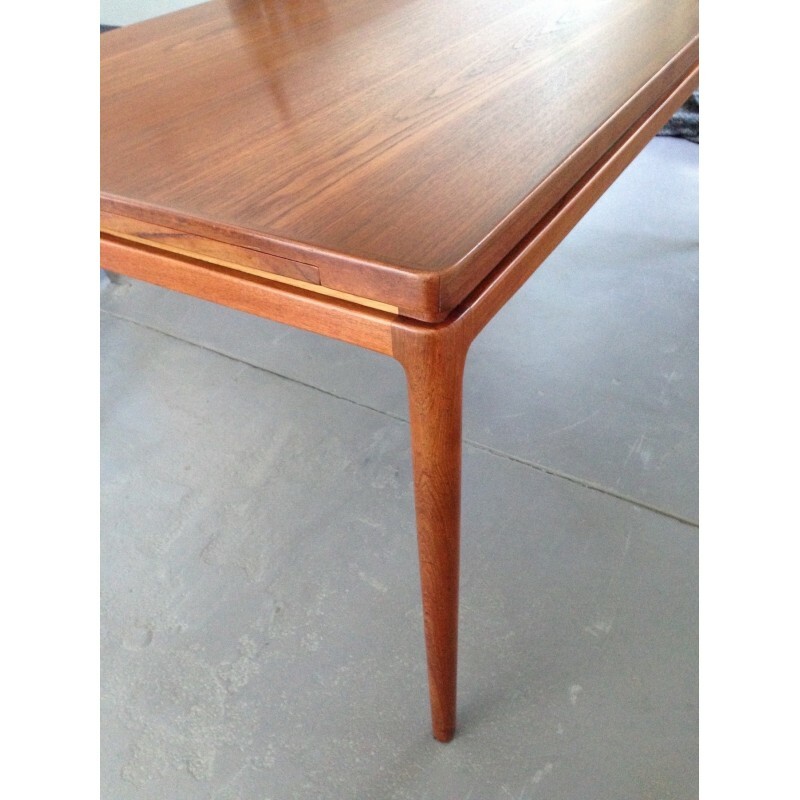 An outstanding extending teak dining table by Johannes Andersen for Christian Linneberg. 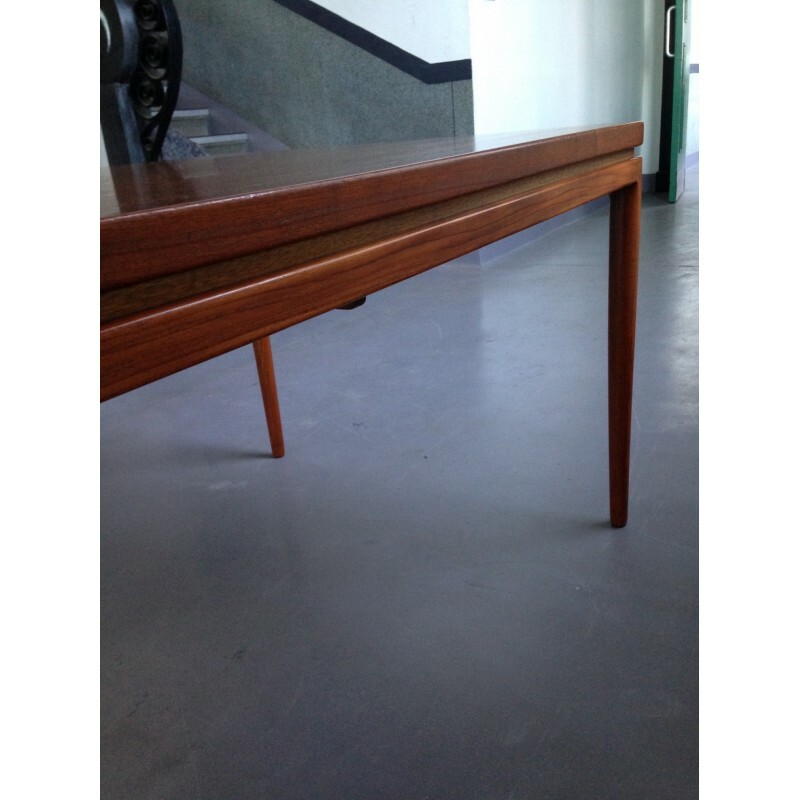 Please note, this table was produced in two different sizes - this is the larger example. The table has been covered with a protective thick vinyl sheet since it was purchased from Harrod's in the 1960's, so the condition is superb. There is also minimal colour difference between the main table top and extension leaves which is unusual for a dining table of this age. There are a few very light scratches to the finish on the table top, but these are only visible upon very close inspection/under certain light conditions and are mentioned for absolute accuracy only. An incredible example of one of our favourite dining tables. Please see the final image and our other listings for a set of six Hans Olsen teak dining chairs bought with the table, which are available separately.